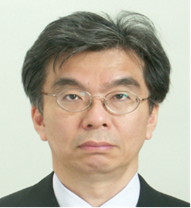 Kazuaki Kawabata was appointed Director-General for International Affairs at the Ministry of Education, Culture, Sports, Science and Technology (MEXT) in April 2017. He started his career in the government when he entered the Science and Technology Agency (STA) in 1984. Since the merger of STA and Monbusho in 2001, he has been working for MEXT. Throughout his career, he has been engaged in a wide variety of activities, including management and coordination in the Minister’s Secretariat Division, science and technology policy planning, atomic research development, space policy development, research promotion, and human resource development in the field of science. Apart from MEXT, he served as Vice President of the Japan Aerospace Exploration Agency (2015-2017), Director-General, Cultural Affairs Department, Agency for Cultural Affairs (2013-2014), and Professor at Tokyo University of Agriculture and Technology (2006-2008). He also worked at the Cabinet Secretariat (1998-2000), Columbia University in New York (1991), the International Atomic Energy Agency (IAEA) in Vienna (2000-2003), and the Cabinet Office (2004-2006). Born in Hyogo prefecture, Mr. Kawabata graduated from the Department of Political Science of the School of Political Science and Economics at Waseda University.